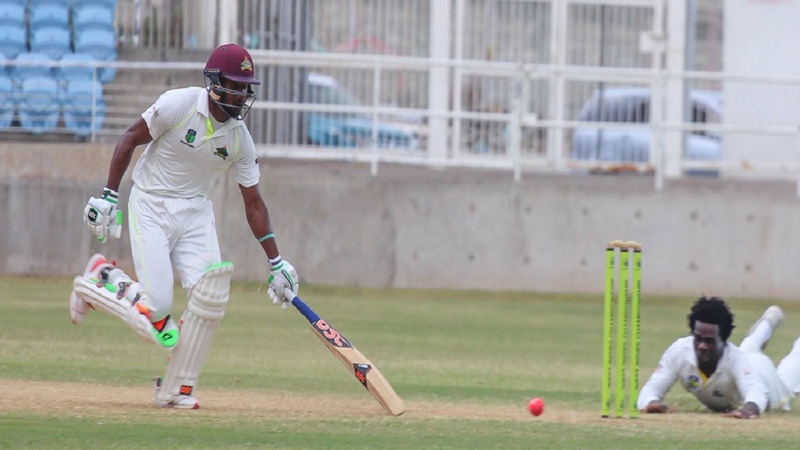 Jamaica Scorpions are closing in on first innings lead heading into Saturday’s third and penultimate day of their fifth round fixture of the West Indies Championship against Windward Islands Volcanoes at the Grenada National Cricket Stadium. Opener Chadwick Walton struck his fifth first-class hundred on Friday to lead Jamaica Scorpions’ best batting performance for the 2018-2019 season. The 33-year-old Walton was undefeated on 113 and led a strong reply for the Scorpions, as they hunt their first win after losing all three of their matches this season. Scorpions closed the day on 212-4, just 73 runs behind Volcanoes’ first innings total of 285. Walton has so far struck 12 fours and a six from 219 balls in a shade over five hours in anchoring the Scorpions batting, after losing fellow opener Oraine Williams cheaply. He put on a crucial 103 for the second wicket with Brandon King, whose 52 from 130 balls in just over two hours included four boundaries. King’s dismissal spark a period of instability however, as Scorpions dipped from 132 for one to 180 for four, but Walton found Barbadian Kenroy Williams, not out on 20, a steady ally and they shared 32 – unbroken – for the fifth wicket in close to an hour prior to the close. Earlier, Volcanoes failed to finish strongly, as they lost their last four wickets for 22 in 45 deliveries, after their resumed from their overnight total of 263 for six. Denis Smith converted his overnight 36 into 49, as the Scorpions new-ball pair of Derval Green and Jerome Taylor shared the wickets that fell. 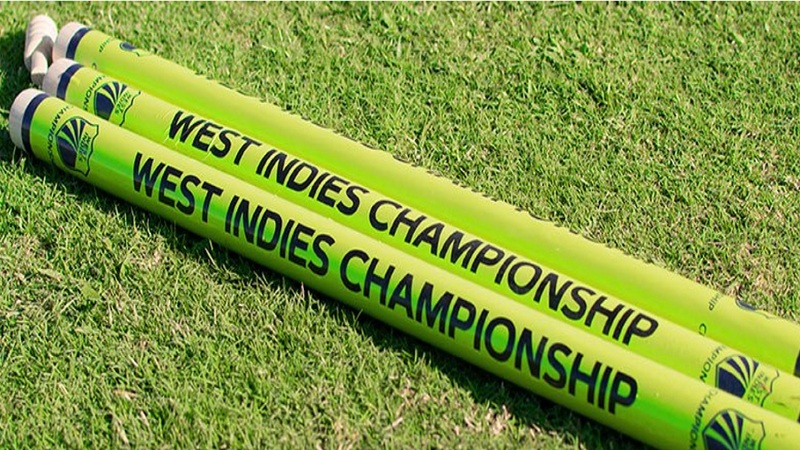 Scores in the game so far are: Windward Islands Volcanoes 285, Jamaica Scorpions 212-4. 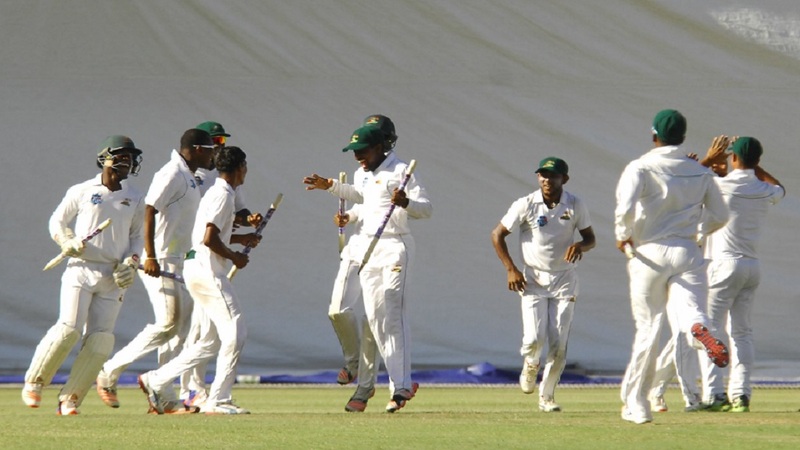 Front-runners Guyana Jaguars – led by Clinton Pestano and fellow pacer Romario Shepherd – gained a slim first innings lead on Leeward Islands Hurricanes and were batting to extend their overall advantage at the Guyana National Stadium. At the close of play on Friday, Jaguars batting a second time were 76-2. Pestano claimed 4-50 from 13 overs and Shepherd supported with 3-29 from 10 overs, as the Jags restricted the Hurricanes to a lead of just 21. Resuming from their overnight total of 57 for three, replying to Jaguars’ first innings total of 196, Hurricanes were bowled out for 175. The Hurricanes saw Terrance Warde and Akeem Saunders extend their fourth wicket stand to 57. But Shepherd had Saunders caught behind for 28, and Pestano followed up with the scalps of Warde and Jasion Peters, both lbw for 30 and a first-ball duck respectively, as the visitors stumbled to 97 for six. Rahkeem Cornwall, batting at six, resisted with 29 and Damion Jacobs, batting at 10, rallied the lower order with 34 not out, but the Hurricanes still fell short of becoming the first team to lead the four-time defending championship this season. Batting a second time, Jaguars built on their advantage, as Trevon Griffith made 37 in a 57-run, first wicket stand with fellow left-hander Tagenarine Chanderpaul, not out on 15. Off-spinner Cornwall struck two vital blows in the last hour, when he trapped Griffith lbw and bowled Jaguars captain Leon Johnson for 15. Scores in the match so far are: Guyana Jaguars 196 & 76-2 Leeward Islands Hurricanes 175. A destructive spell from Jamaican fast-medium bowler Marquino Mindley had Barbados Pride scenting victory over Trinidad & Tobago Red Force at the Brian Lara Cricket Academy. Mindley grabbed 4-29 from 12 overs to spark the Red Force batting collapse, after the Pride earned a hard-fought, 45-run first innings lead. All but Jason Mohammed of the Red Force batsmen failed to reach double figures, as the Pride looked to get their season on track. 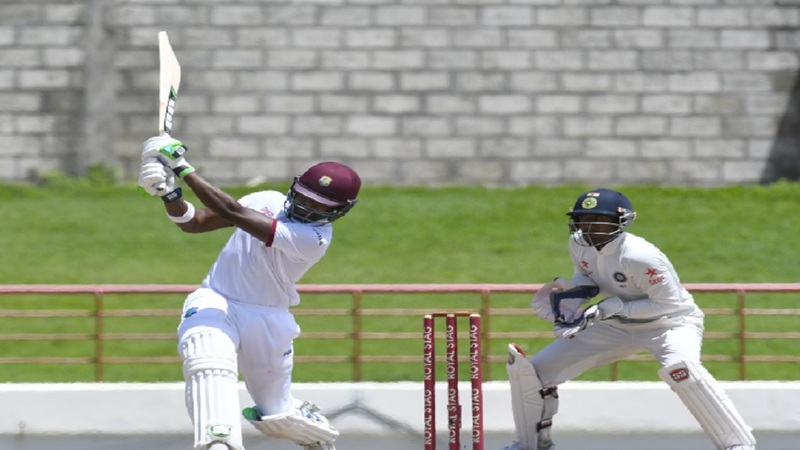 Earlier, the visitors required left-hander Nicholas Kirton, on debut, and Windies Under-19 World Cup-winning all-rounder Shamar Springer, their two least experienced players, to pull them out of a rut, after they resumed from their overnight total of 52 for three. The wickets of their captain Jonathan Carter for 13 and long-serving all-rounder Kevin Stoute for five inside the first half-hour saw the Pride stumble to 71 for five. But Springer and Kirton made 47 apiece and put on 76 for the sixth wicket to lead the revival and get the visitors to a respectable total before Mindley brought things to a boil. Scores in the game so far are: Trinidad & Tobago Red Force 170 & 62-6; Barbados Pride 215.